Most people looking to increase their WooCommerce conversion rate focus only on improving their shopping cart and checkout pages. And while that is important, improving the overall user experience your online store delivers comes first. I’ve written this article to share what I’ve learned about conversion rates from working with the 10,000+ WooCommerce stores that use Barn2 Media’s WordPress plugins. I’ll share some actionable tips that you can use to increase your WooCommerce conversion rate and boost sales. I’ll also demonstrate how you can use the WooCommerce Product Table plugin to create a user-friendly, front-end table layout to display products in that makes it easier (and more intuitive) for customers to make purchases. While the default WooCommerce layout might work for most consumer products, it might not be the best option for you. Here, we’ll take a look at some of the types of product that don’t really work well with the default WooCommerce layout. Many times, customers prefer to see product details at a glance. If you sell these sorts of products then the default WooCommerce layout wouldn’t be very effective for your store. Essentially, customers would have to click-through to the single product page to find the details they need to see to make a buying decision. Using the default WooCommerce layout for displaying a menu isn’t effective. 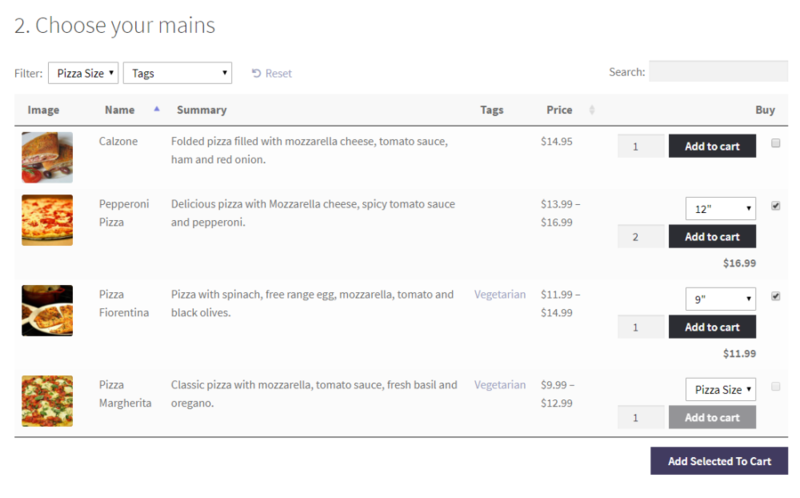 Order forms in a table layout make the experience of ordering food online similar to a real-world scenario. 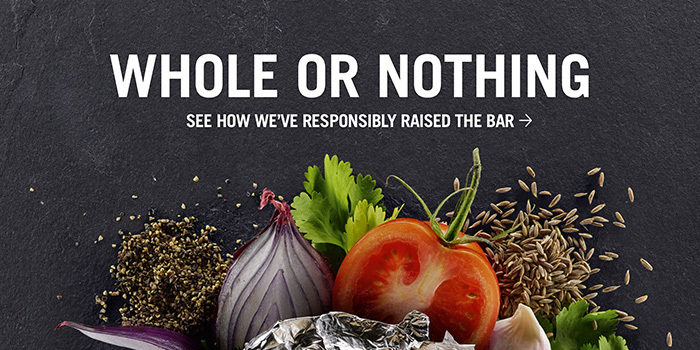 Customers can browse through the dishes, snacks, and dessert options, compare prices, see nutritional information (such as the number of calories in a dish) and place their order online. A product table layout is the perfect solution for online stores that sell build-your-own products. Customers can easily select the individual parts of the product they’re building. This is great for stores that sell build-your-own gift hampers or customizable foods such as pizzas or boxes of chocolates. It’s not easy to find a specific product on a website that sells lots of different products. However, powerful search and sort feature in product table layouts makes it easy to find products faster. 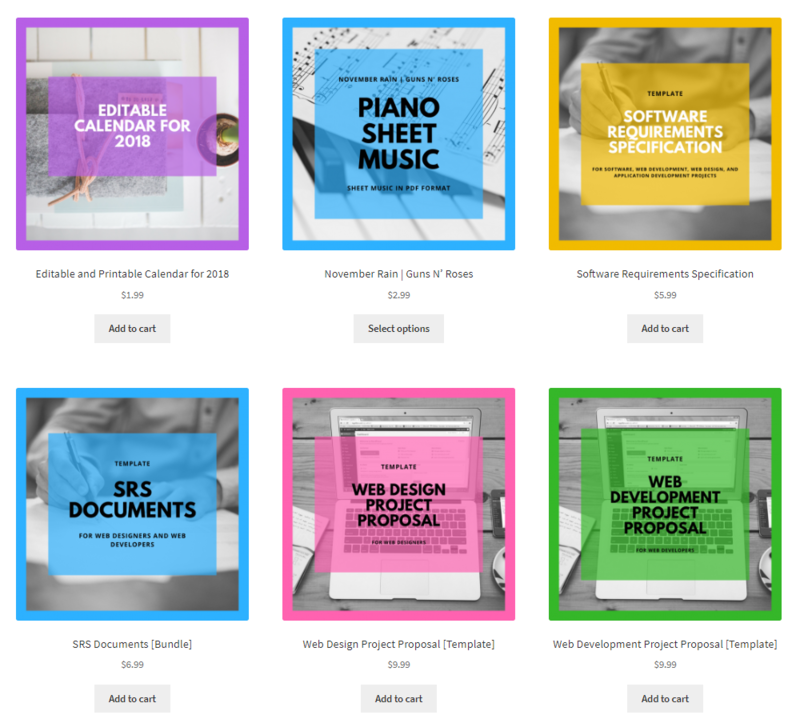 For instance, presenting stationery items in the default WooCommerce layout would be as effective as creating individual table layouts for the different types of stationery items you sell. The default WooCommerce layout makes buying in bulk difficult for customers. Wholesale customers generally have a clear idea of what they need to purchase. For this reason, they need to be able to make the purchase quickly. For this reason, an order form layout would be better for handling bulk purchases. Your customers will be able to choose the products they’d like to purchase without going to single product pages first. Many online stores – especially stores that sell digital products – sell products that don’t necessarily need an image to persuade the customer to make a purchase. When buying smartphones or laptops, customers usually make their buying decision on the basis of product specifications. A product table layout would let the customer compare different product’s specifications without having to open several single product pages. It would also eliminate the need to switch back and forth between them. Websites that sell downloadable audio files like stock audio clips, recorded lectures, and audiobooks usually don’t need an image to convince the customer to make a purchase. 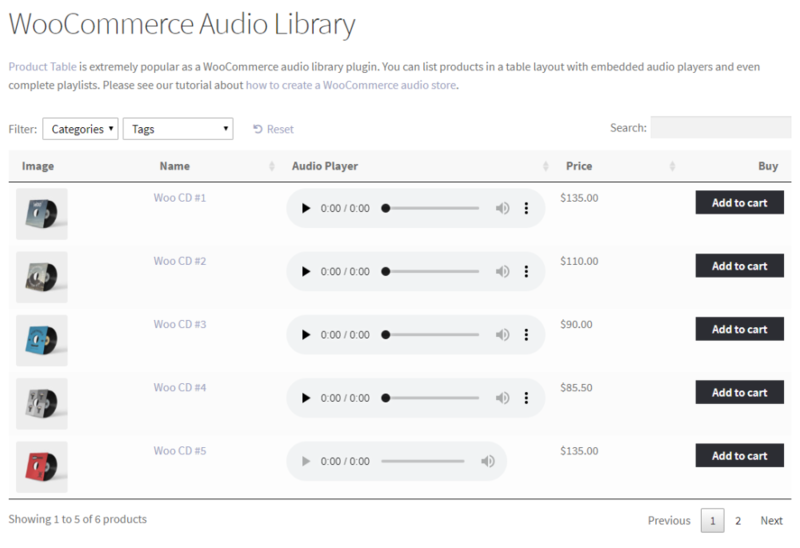 A product table lets you display important product information like the price of audio file, file format, encoding information, duration, an an embedded audio player for preview, on the same page. Using the default WooCommerce layout to present these types of products to your customers could potentially lead to lower conversion rates and sales numbers. How Can You Benefit From a Product Table Layout? Notice how the customer would be able to select options for the November Rain | Guns N’ Roses music sheet and set the quantity directly from the table layout. WooCommerce Product Table offers a number of features that make it easy for customers to find the products they’re looking for. entire site and opening up several single product pages. Searchable, sortable, filterable table layout. The built-in sort and filter options and the search bar will help customers find exactly what they’re looking for and help them make a buying decision faster. Intuitive user interface. You can choose to implement your product table as an order form, a listing, or a directory. This improves the customer’s user experience, increases your average order value, and boosts your WooCommerce conversion rate. In addition to this, you can decide which columns you’d like to display in the table. Your goal should be to present all of the information that would convince the customer to buy the product. The plugin also comes with search functionality and options to sort and filter products. This way, customers will be able to find what they are looking for quickly. In addition to this, you’re able to add Add to Cart buttons, checkboxes for bulk purchases, and links to single product pages in just a few clicks to further improve the customer’s shopping experience. 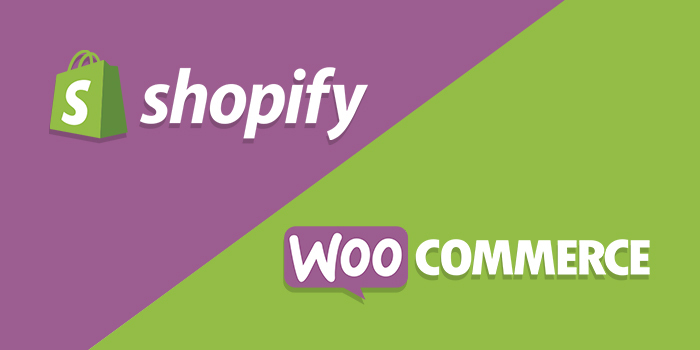 Most WooCommerce store owners choose to go with the default store layout that comes with WooCommerce or their theme. The problem is they don’t consider whether it’s the most effective way to showcase the types of products they’re selling. The WooCommerce Product Table plugin offers a number of useful features and functionality to help you increase your WooCommerce conversion rate. For example, you’re able to create a front-end table layout that delivers better user experience than the default WooCommerce layout. What are some of the techniques you use to increase your WooCommerce conversion rate? Let us know in the comments section below!